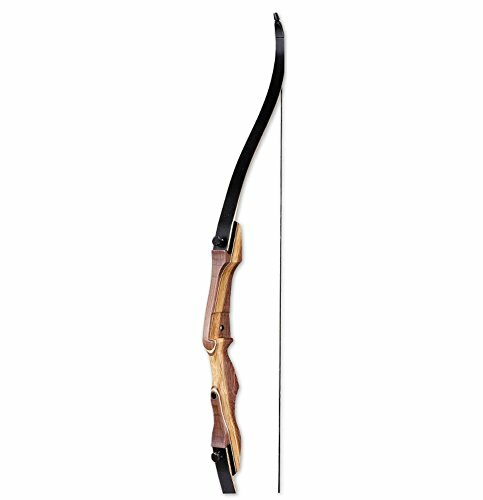 Coming from the eminent Samick Sports, this bow is constructed out of quality materials so it will last a long time. Samick Sports is one of the few companies that produce recurve and longbows outside the U.S. The company is located in Korea and they have been making bows for 40 years now. They aim to produce bows that are designed in a minimalist style. 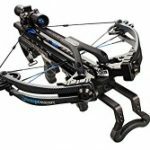 This bestseller is the best recurve bow under $200 and you will know why in a moment. It’s also the best left-handed recurve bow and the fastest one on the market. It comes with 25, 30, 35, 40, 45, 50, 55, and 60 lbs. of draw weight. The limbs can be purchased separately so you can increase or decrease the weight whenever you need to. This well-built recurve bow shoots 8gpp arrows at 184 fps, making it fast and powerful. Over and above that, this is also a durable bow with perfect balance. That’s possible because the riser is made from Hard Maple, Olive Dymonwood, and Oak. The limbs are laminated with fiberglass and are even phenolic reinforced. This bow is easy to transport, assemble, and dismantle. That’s because this is a takedown recurve bow. And we all know that takedown bows can be dismantled into three parts for easier transport. This takedown requires no tools and replacement of limbs for different draw weights is also easy. 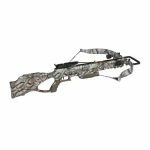 Strung with a Dacron Endless loop bow string, this bow also comes with an arrow rest and pre-installed brass brushings that fit the Samick Sage Hunting Kit for a better hunting experience. You’ll even fall in love with its aesthetic appearance. This is beyond question one of the best takedown recurve bows on the market. 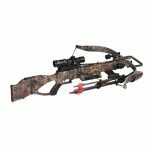 Its single tapered knob and exclusive metal limb pocket design makes it more efficient than other bows in the mid-high price range. Plus, the B-50 bow string on this bow possesses great, renowned quality for longer use. There are so many other reasons to buy this bow. 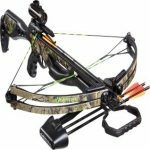 With regards to the strings, professional archers recommend Recurve 58” Fast Flight Plus Flemish bow string but the manufacturer’s 62” length works well. But I’ll be honest. There are a number of cons attached to this recurve bow as well. For one, it’s a little loud to be used for hunting unless you’re willing to get a noise muffler. I recommend you install whisker silencers on the string because you can’t take a risk in a hunting situation; you just can’t. There is also no padding around the grip so you may feel uncomfortable after shooting for several hours. The screws are misaligned in some deliveries and customers have complained about them not being in high quality; meaning, they break easily during installment. Some also say this is a little heavy for a recurve bow but actually you can get used to it. 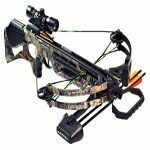 Of course, the cons can be disregarded with all the pros this recurve bow can offer. 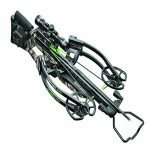 It’s low maintenance, easy to tune, and with the ergonomic shape of the grip, you won’t feel any pain in your bow hand at full draw. That kind of shape is also perfect for shooters with small hands. Even so, the lack of thermal material may make the grip a little cold depending on the weather. But that’s not a big deal because the riser is made of wood and not aluminum. You may find this more sensitive to the mechanics of the shooter’s release than some other bows. If you just let it do its work without plucking the string, the arrow would fly right to the target and that’s great to hear. With 45lb. draw weight, the observed speed are as follows: 378 grain arrow: 165 fps average (high 169) 8.6 grains per pound, 423 grain arrow: 153 fps average 9.6 grains per pound, and with a 511 grain arrow: 145 fps average 11.6 grains per pound. With these results, you’ll definitely get satisfied with this bow. Nothing beats the price of this recurve. You’ll even have no issues with 30-40 yard targets. Almost all reviews I’ve read are positive ones so that’s a great surprise especially because this is an affordable one. Usually when the item is cheap, customers would give more negative feedback than positive ones but obviously that is not applicable to the Samick Sage Takedown. It’s great for everyone because beginners can just opt for the one with 30lbs. of draw weight for their target shooting and at the same time, experienced archers can use as high as 60lbs. for their hunting needs. It’s a premium quality bow in a great body. There’s actually nothing more you could ask for.